Looking to install a VPN on Kodi? This guide will walk you through it step by step for whichever platform you’re using. You should always use a virtual private network (VPN) when using Kodi to stream content. However, sometimes that’s easier said than done, especially if you aren’t great with computers. Additionally, there’s a lot of misinformation around VPNs. For some reason they’re considered suspicious even though there are many legitimate reasons a person would use one. In this article we’ll be explaining what a VPN is, how it works, and showing you how to install and configure a VPN on Kodi. In essence, a VPN is just a collection of servers that are spread across the world. Once you’ve connected to one of these servers, every bit of information sent to and from your computer is encrypted. The only people who know what you’re doing are you and at times, your VPN provider. Most reputable VPN providers keep no logs of your activity as well. You may have heard of people being tracked by their computer’s IP address. This is because whenever you visit a website, it makes a note of this address. If the website is compromised or asked for its visitor logs, anyone can use an IP tracking tool to find out information about you. A VPN prevents this by hiding your real IP address and giving you a temporary one instead. Some even allow you to automatically change IP addresses after a set time period to reduce the risks even further. Of course, VPNs aren’t infallible. They can’t protect you from any malware that you inadvertently download, but for the everyday user, they provide a level of privacy and security that no major ISP does. All Kodi addons whether official or third-party can be hijacked. While official addons are usually created with stringent validation measures in place, third-party addons generally aren’t. This means that there may be more uncaught vulnerabilities that an attacker could exploit to gain control of your computer. Because internet service providers (ISP) don’t encrypt their customers’ data, it’s fairly easy for someone to intercept your network traffic using a Man-in-the-Middle (MitM) attack. If this were to happen, an attacker would have access to the entirety of your browsing history. They could even force you to download malicious scripts which allow them to control your computer remotely. A VPN encrypts your traffic and renders these attacks useless. It’s widely known that ISPs limit the network speeds of their customers. This is generally intended to discourage streaming video online. With a VPN, your internet traffic is hidden from your ISP. Since they can’t detect that you’re watching video they’re less likely to throttle your network speeds.This can even help prevent excessive buffering, one of the most common issues Kodi users face. Some countries restrict the websites that their citizens can visit. A VPN allows its users to connect to a server in a different country, bypassing any governmental web filters in the user’s home country. This same feature allows you to get around geographic content restrictions, so VPNs are great for Kodi users. For example, If there’s a TV show that is only accessible to people in Australia, you can access it by simply connecting your VPN to an Australian server. There are several different VPN services to choose from. Which service is best for you depends on how you use the internet. Some VPN services value privacy the most, which includes keeping no logs of your traffic. Others focus primarily on providing the fastest possible connection. While there are free VPN services available, we highly recommend staying away from them. In the past, some have been known to contain malware and are often no more secure than your standard internet connection. There are also a handful of Kodi addons that allow you to install a VPN directly. However, these addons often require the installation of additional software with worse cross-platform support than a traditional VPN service. Additionally, these add-ons are generally found in little-known repositories which makes it difficult to find up to date information on the repo’s status. On top of that, each add-on you install increases the likelihood of one of them being compromised by an attacker. A VPN is supposed to increase the security of your system, not decrease it. For this reason, we recommend using an external VPN instead of a dedicated Kodi one. To help you decide which VPN is right for you, we’ve written a guide to the best VPN services of 2017. There’s something for every budget, and each VPN is comprehensively reviewed in its own article. In the installation guides, we’ll be using IPVanish. It’s one of the best VPNs for Kodi, working with every add-on we’ve tested. Additionally, since IPVanish maintains their own servers and infrastructure, they offer higher speeds and a more stable connection than most of their competitors. Most people use Kodi on a traditional PC, and as a result, the installation process is fairly straightforward. The first step is to sign up for an account with a VPN provider. Once you’re registered you’ll be able to download the VPN software for the operating system you use. For Windows, Mac, and Chromebook users, setup is very simple. Once the software has downloaded, install it and log in with the email address and password you used to sign up. You should now be able to select the country whose servers you’d like to connect to. All that remains is to actually connect to the VPN – in IPVanish, you can do this by clicking the Off or Connect buttons. On Linux, things are a little bit more complex. You don’t actually download an installer – rather, everything is set up using the command line. This is because you’ll have to connect to your VPN using either the PPTP or OpenVPN protocols. The good news is that this sounds more difficult than it actually is. Most VPNs will have a detailed, step-by-step guide on how to do this, but you should know that each VPN provider will have their own configuration files. This means that you can’t just follow a generic guide, since you won’t have access to the correct files. The entire setup process should only take a few minutes, and while it’s a bit of a nuisance, once you’ve configured it properly, you shouldn’t have to do it again. Most popular VPNs will have an app that you can install on your phone, tablet, or smart TV. First, find out if your VPN provider offers this service. If they do, search for the name of the app on either the Google Play Store or iOS App Store and download it. Once this is done, open it up and login with your VPN account details. From here, it’s just a case of selecting the server you’d like to connect to and pressing the Connect button. While there are free VPN services available on these app stores, we strongly discourage their use. Some of these have previously been found to contain malware and may, if anything, make your browsing less secure. These commands create a folder and open it. You’re almost done. Next, download your VPN’s configuration files. Your VPN should mention where to find these in its Linux installation guide. For IPVanish, these files are available here. Place these files into the folder you just created. The .ovpn files that you’ve just downloaded each allow you to connect to a particular server. You’ll use these to switch between servers as opposed to choosing one from a drop down menu like in the Windows or Mac versions of the software. You’ll be asked to enter your IPVanish username and password, and once you do, you’re ready to go. 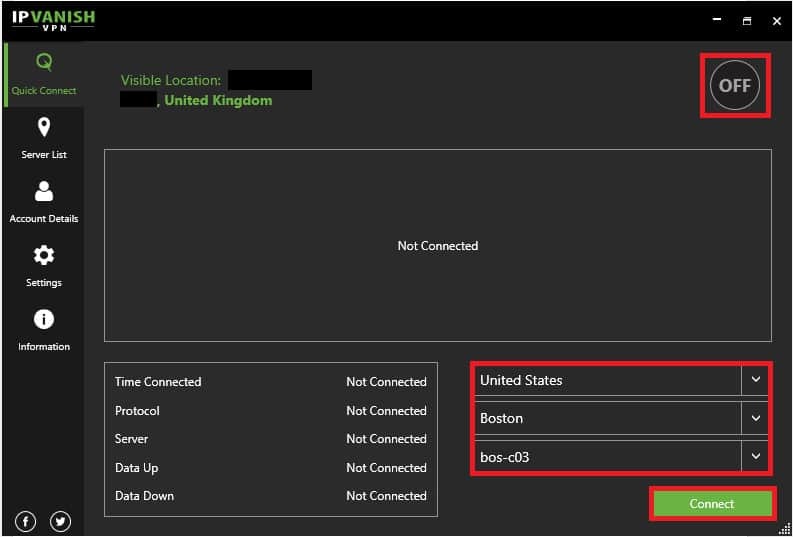 You can check to see if everything installed correctly by visiting an IP tracing site and seeing if it shows your actual location or the location of the server you chose. Once the app has downloaded, open it up and login with your IPVanish credentials. You can then select which server you’d like to connect to from the drop down list. Once you hit Connect, you can safely browse Kodi to your heart’s content. 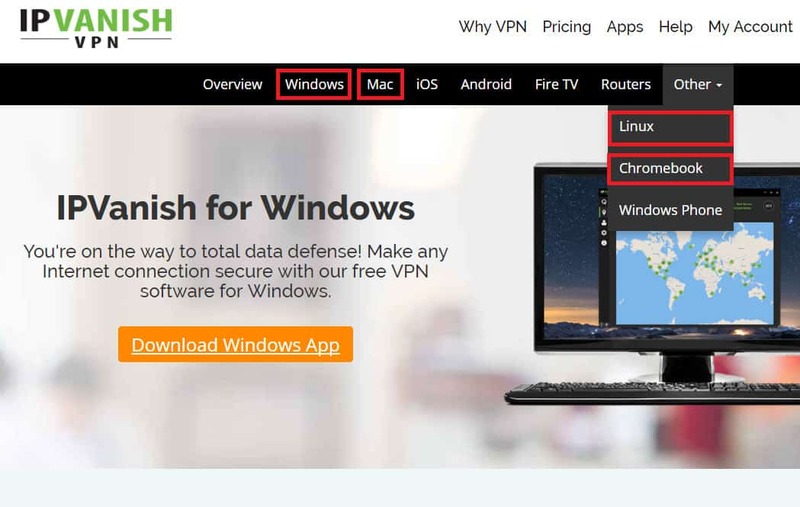 If you don’t have IPVanish, don’t worry. It is possible to install the Android versions of other VPN services, however it will require some extra work. We’ve covered this in great detail before in our comprehensive guide to using a VPN on a Fire Stick or Fire TV. VPNs aren’t as complicated and mysterious as they may seem.. All they do is keep your online activities and IP address hidden from those who would try to compromise your system, block your access to the content you want, or ISPs that try to limit your network speeds. Part of Kodi’s mass appeal is its versatility. It can be installed across a huge range of different devices including the Amazon Firestick, Amazon Fire TV, Raspberry Pi, iPhone, Roku, Apple TV, and PC. We’ve shown today that you don’t need to be technically gifted to install a VPN, and that there’s likely to be a suitable service available regardless of which device you’re using. Simply put, there’s no need to browse the internet or use Kodi without protection.